Fruit gels from Hawaii, Sriracha popcorn from Washington state and beet yogurt from New York all made the finals in the Specialty Food Association’s 2014 sofi™ Awards contest. A sofi is considered the highest honor in the $88 billion specialty food industry. A national panel of specialty food professionals tasted and evaluated 2,025 specialty foods and beverages across 30 categories to come up with their list of 109 finalists. Winners will be announced at a red-carpet ceremony June 30, 2014, at the Association’s Summer Fancy Food Show in New York. The event will be hosted by Dominique Ansel, the noted pastry chef. The awards are open to members of the Specialty Food Association, a not-for-profit trade association for food artisans, importers and entrepreneurs. “sofi” stands for Specialty Outstanding Food Innovation. Judges spent five days selecting finalists. They included top buyers from Fresh Direct, Whole Foods Market, Cooper’s Hawk Winery & Restaurants, Mollie Stone’s Market, DeLaurenti’s Specialty Food & Wine, Kroger, Bristol Farms, Sickles Market, and Artisanal Premium Cheese. The panel also included a food historian, executive chefs from Loi restaurant and Grand Central Oyster Bar, and journalists from Food & Wine, The Wall Street Journal, Edible Manhattan and Cooking Stoned. The full list is available at this link here. A staple in the West Village since the 1970’s, “Pasticceria Rocco” has been passing down old-world traditions into their baked goods for decades before that. This family-owned Italian bakery/ cafe still fills cannolis with their sweet ricotta cream per order, and outputs hundreds of cookies and cakes on a daily basis. Admittedly, I had not set foot into this place in a long time for no better reason than I was getting high and mighty on all of the other more trendy places in the area. It’s a rough area to be an old school Italian bakery in. I did manage to walk into the place, and had planned on doing a review of some multi-colored biscotti that sat by the front counter, but then something else caught my eye. Suspended in mid-air by a cooling rack was a long tray of freshly-made focaccia bread, glowing like a lighthouse in the dark. Don’t fret, trusty reader, I still bought those biscotti, but this review just turned into a focaccia story. There are a few items that tourists must eat on their trip to New York City. Thin crust pizza, a dirty water hot dog from a cart, and an authentic NYC bagel. There are probably more, but for the sake of keeping this article down to a decent word count, let’s stick with three. Something makes bagels from “New Yawk” a bit different from its relatives around the nation. Maybe it’s the water, or perhaps it’s the different things you can put on top of it. It’s a basic bread-type food with many possibilities. “Bantam Bagels” on Bleecker Street has popped up and is offering a new spin on the classic carb, making them bite-sized and filled with flavor combinations that will make you “change the way you bagel”, or so their slogan says. So, let’s get past this obstructed view from across the street and get some bagels! There are few foods that are as fun to say as Schnitzel. With the exception of momos, few words put a smile on foodies faces as that one does. We have tried Schnitzel on this site before at Doma Na Rohu, but the difference for this review is that this schnitzel comes in a truck. “Schnitzel & Things” has been in business since 2009, which is also when they won the prestigious Rookie of the Year at the Vendy Awards. Theirs was the first schnitzel truck in NYC, and it has been rolling down the streets of Manhattan and Brooklyn on a daily basis since then. Does their flattened and fried meat capture the schnitzel magic that sit-down restaurants offer, or is this truck as tasty as the blackened crumby bits on the bottom of the deep fryer? Let’s take a bite and find out! “Bob & Jo” has a new food cart with a slightly new menu… and curry! Regular readers here at Blowtorch Pudding have heard me sing praises about the “Bob & Jo” truck before, especially with their Galbi platter and the amazing Ramen soup and dumplings combination. Lo and behold, what was parked near my office one day but Bob & Jo, but this time not in their usual fashion. Like mana from the heavens, Bob & Jo has gone to the next level of their business by expanding beyond trucks. Now sporting a smaller food cart (in addition to their truck), Bob & Jo can now bring their Korean BBQ into multiple spots in one day, doubling your chances to get a taste of this place. Not only do they have a new look, but they also have a slightly different menu from the full-sized vehicle. I want to introduce you to one of my favorite food trucks in NYC. Is it the best food truck I have ever tasted? Hardly, although it is very good (spoiler alert – this place gets a good review). “Blend Express” has been a weekly staple in my lunch rotation for nearly two years, and there are plenty of reasons why that you will soon discover. Sporting the concept of Latin fusion, this truck offers tacos, burritos, rice bowls, and a few sandwiches as well, with tons of toppings to customize your meals the way you like it. I am going to show you one of my favorite truck comfort foods today, and see if I can convert you to “Blend Express” as well. When I went to Japan in 2008, I can honestly say I never had a bad meal (even the times where I ended up ordering a teriyaki burger from McDonald’s). The first thing I ate when I got off the plane was a Curry Udon soup, which was absolutely amazing, and was followed the next day by my first experience with Tonkatsu, a fried pork cutlet. Japanese comfort food at its simplest. “Go! Go! Curry!”, located near the NYU dorms by Washington Square Park, brings authentic Japanese curry and yummy fried goodness is one tiny storefront. The restaurant is named in honor of NY Yankees baseball player, Hideki Matsui, whose number is 55. In Japanese, with their love of wordplay, Matsui’s first name means “Go! Go!”, so why not go curry! With a baseball theme for their menu and enough room to seat roughly a dozen or so people in the place, the freshly fried fare is served with a heap of curry sauce and white rice. It’s a lot of fun, and a lot of flavor. When your food truck has a monkey wearing sunglasses on it, you get high hopes for a playful and fun experience. The gigantic “Monkey Brothers Lab” truck pulled up into my neighborhood with their colorful red and orange vehicle, and become quite the attraction for on-lookers. Offering a diverse menu of burgers, cheese steaks, and tacos, I decided to try the old-standby of Mexican food. Tacos have become the litmus test for me with many food trucks that offer it as an option, but the end result was me diving into a barrel of monkeys that I wanted to escape from. Full disclosure. 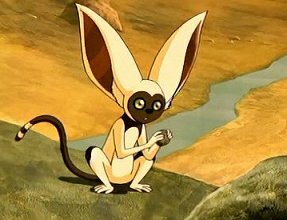 I had no idea what a “momo” was, other than some kind of flying lemur from the world of Avatar: The Last Airbender”. Turns out that it is also the word that Nepalese, Tibetans, and Indians use to call dumplings. “Chinese Mirch” has a restaurant on Lexington Avenue in Midtown, among other places across the US. They also have a roving food truck that made a stop near me recently, which specialized in their handmade momo’s. This bright red and peach colored truck attracted me with its siren call of steamed buns with meat in them, and I had to give them a try.